Using natural remedies for asthma could change lives for families who deal with this widespread condition affecting over 300 million people worldwide. In the US alone, approximately 8.3% of children have asthma. Asthma is a chronic disease of the airways that makes breathing difficult. Asthma symptoms typically include coughing, wheezing, shortness of breath, and chest tightness. Asthma can be a mild condition that only flares up under certain conditions, or it can be a chronic and quite debilitating condition. Air pollution is one cause of many asthma cases worldwide. The disease can have a seriously negative effect on people’s lives. In severe cases, asthma can prevent you from performing your everyday tasks and negatively affect your personal relationships. The disease affects over 300 million people worldwide. There are a number of natural remedies and supplements that show promise in treating asthma symptoms. Boswellia serrata is a tree that grows in dry mountainous regions of India, Northern Africa, and the Middle East. The resin of Boswellia species has always been used as incense in religious and cultural ceremonies and in medicines. Boswellia serrata is one of the most valued herbs in the Ayurvedic system of medicine. Traditionally, it has mainly been used for the treatment of inflammatory conditions. The results of a double-blind, placebo-controlled clinical study that lasted six weeks were very promising for the use of Boswellia serrata in patients with bronchial asthma. The scientists found that 300mg Boswellia gum resin three times a day for six weeks reduced asthmatic symptoms in asthma patients. It was a notable effect with 70% of the patients experiencing the disappearance of physical symptoms of asthma. Although these are promising results, this is the only study that looked specifically at the effect of Boswellia as a natural remedy on asthma. More studies are needed to confirm this outcome. At least four robust clinical trials have shown that magnesium seems to reduce asthmatic symptoms. A double-blind randomized placebo-controlled trial investigated the long-term effect of oral magnesium supplementation on asthma symptoms in children and adolescents. Supplementation of 300mg magnesium daily resulted in fewer asthma symptoms in the group treated with magnesium. They also required less asthmatic medication during the two months of treatment. Another study, supplementation with 340mg magnesium for 6 months involving patients with mild to moderate asthma also led to a reduction in asthmatic symptoms. There was also an improvement in subjective measures of asthma control and quality of life. Scientists also found that long-lasting Mg supplementation is beneficial for children who have mild to moderate asthma. However, a study that looked at both vitamin C and magnesium supplements to improve the clinical control of asthma found that neither the supplements had any clinical effect. Coleus forskohlii is a multipurpose medicinal herb used in traditional medicine. It is used as a potential remedy for hypertension, congestive heart failure, eczema, colic, respiratory disorders, painful urination, insomnia, and convulsions. Although more evidence is required, it appears to be more effective at suppressing asthmatic symptoms than other nutraceuticals. Nutraceuticals are food or parts of food that may provide medicinal or health benefits. Scientists in Mexico used a single-blinded clinical trial design to see if forskolin could prevent an asthma attack in children and adults. Forty patients were randomly assigned to six months of treatment with forskolin capsules at 10 mg per day or with two inhalations of sodium cromoglycate three times a day. The result as a natural remedy for asthma was very promising. The number of patients who had asthma attacks during the treatment period was significantly lower among those receiving forskolin. Only 8 of the 20 had an attack, while 17 out of 20 who received sodium cromoglycate had an attack. More research is needed to determine if forskolin can be an effective treatment for asthma. Pelargonium sidoides is well-known among natural remedies for its ability to treat cold symptoms, including bronchial asthma. 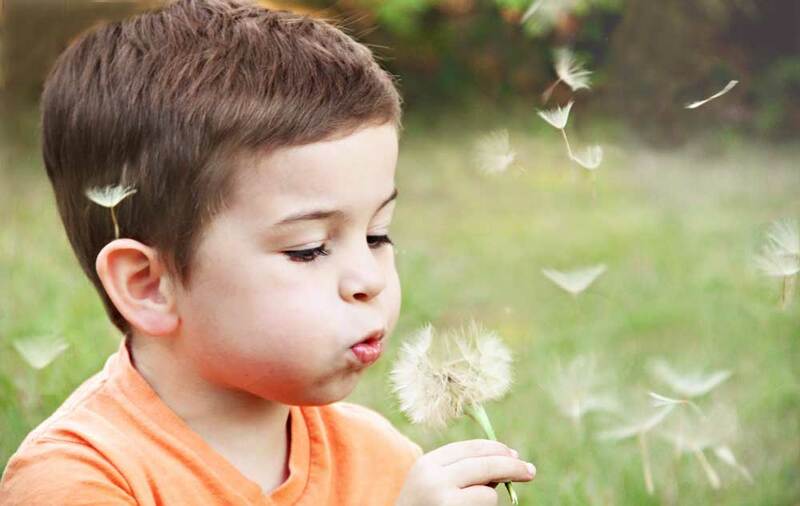 In one study, researchers studied the possibility that the pelargonium sidoides root extract eps® 7630 can prevent asthma attacks during viral infections of the upper airways. Asthma attacks are often the result of a viral infection. The scientists enrolled 61 asthmatic children with upper respiratory tract viral infection in the study. They were randomized to either receive Pelargonium sidoides daily for five days or not. The scientists found that the Pelargonium sidoides group had statistically fewer asthma attacks. Although the study group concluded that Pelargonium sidoides may prevent asthma attacks during upper respiratory tract viral infections, this was the only study to produce this result and more research is needed. Pycnogenol is a standardized extract of French maritime pine bark. It is a herbal medication with diverse clinical pharmacological applications and a can be included among natural remedies with the potential to treat asthma. Pycnogenol has antioxidant and anti-inflammatory properties. A review of the supplement mentions its wide pharmacological applications including its ability to reduce asthma symptoms and improve lung function. A small, but high-quality study found that Pycnogenol may be able to treat asthma. The randomized, double-blinded, placebo-controlled, crossover study enrolled 22 patients with varying degrees of asthma severity. Supplementation of 1mg/lb pycnogenol (maximum dosage of 200mg) daily for a period of four weeks reduced asthma symptoms more than placebo. One study treated people who had asthmatic symptoms due to mite in indoor dust. They were treated over a period of six months with 100 mg Pycnogenol per day. The result was that the patients needed less medication and they showed fewer asthmatic symptoms over the 6 months. However, this was a cohort study that doesn’t produce high-quality evidence. Further clinical trials are necessary with larger groups of asthmatics to confirm pycnogenol’s efficacy as a treatment for asthma. Clinical trials and research studies have shown the protective influence of vitamin D supplementation among asthmatic children. This review of the role of vitamin D in asthma references a number of studies that drew the conclusion that there is a link between vitamin D deficiency and increased asthma symptoms. In fact, low blood levels of vitamin D have been linked to increased risk of asthma attacks in children and asthmatic adults. A Cochrane Review has found evidence from randomized trials that taking an oral vitamin D supplement in addition to standard asthma medication could reduce severe asthma attacks. Seven trials involving 435 children and two studies, involving 658 adults were reviewed. These studies were done in different countries. The research results showed that an oral vitamin D supplement reduced the risk of severe asthma attacks, but vitamin D did not improve lung function or day-to-day asthma symptoms. This means if you have asthma, you must take vitamin D with prescription medicine as vitamin D on its own won’t improve your lung function or treat day-to-day asthma symptoms. So far, there is no conclusive scientific evidence that any of the natural remedies currently under investigation definitely protect against asthma or treats asthma symptoms effectively. A few of the supplements show promise in being able to prevent asthma attacks in the first place but more research is necessary to confirm these results.